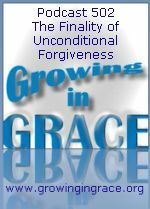 Forgiveness under the Old Covenant was based upon certain conditions, which included repeated sacrifices from priests under the law which could never take away sin. This ministry provided a temporary forgiveness and covering, but sin still lingered. If forgiveness still needed to be dispensed repeatedly to us in Christ, this suggests Jesus would need to return to perform more sacrifices – over and over again – because without the shedding of blood there is no forgiveness. Where statements by Jesus and the Apostle Paul appear to contradict each other regarding forgiveness, they can be explained by recognizing the work of two entirely different covenants, producing very different results. The Old Covenant consisted of continual sacrifices that only provided a reminder of sins. The New Covenant consisted of one sacrifice that took away all sin.